Reward Points can be given to your Clients for product sales and any services bought by them. Initially, you will set the number of points you'd like to award for each product or service, and then set how much each point is worth. You can then even set certain days that will attract double points, or whatever multiple you have chosen. This is a great feature, as it entices Clients into the salon on days that you might be less busy, i.e. double point days or Mondays. 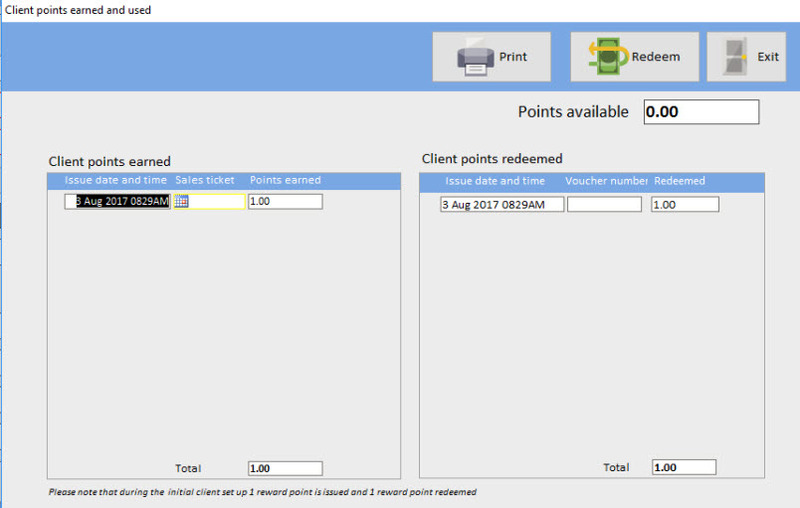 The Reward Points system is already incorporated into the system so it's ready to use if you want to.